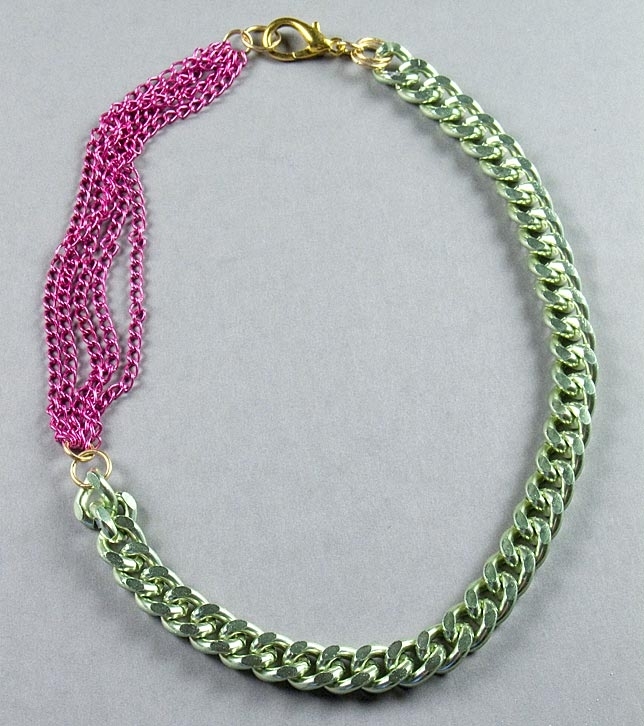 Large green and fuchsia chain necklace by Amor Fati. 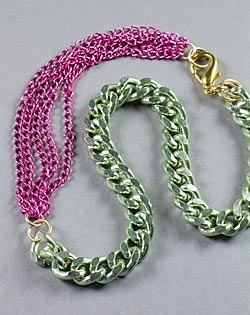 This trendy necklace features a playful lime green chain with 13mm links and five rows fuchsia chains. Necklace measures 155.5cm/22" in total length and fastens with a lobster clasp.